Location! Location! Location! 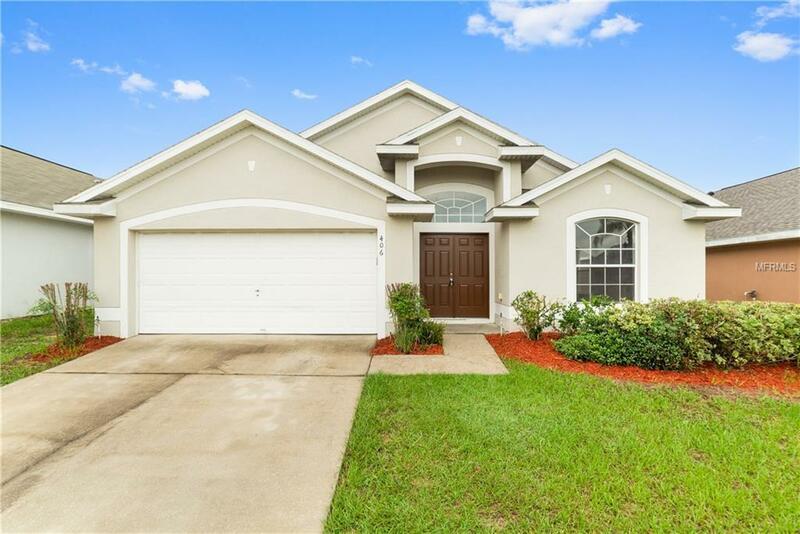 Check out this well maintained beautiful 4 bed 2 bath one story home located in Legacy Park community. The magnificent home has beautiful high vaulted ceilings with a large family room open to the kitchen. Spacious kitchen features an island, pantry and ample space for a large table. Master suite has a jetted tub with separate shower stall, large vanity, and a walk-in closet. The house has been freshly painted, with new carpet/flooring, ceiling fans, and is in Move-In condition. Very desirable area, perfect for either your permanent home or your vacation home. It is just a short drive to Disney, main highways, and close proximity to shopping & restaurants. Won't last long, schedule your showing today!